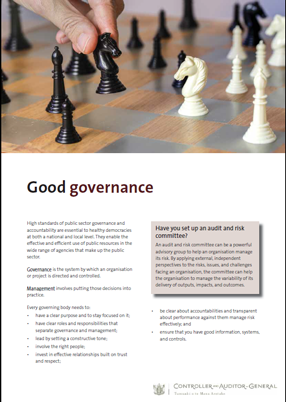 Governance is the system by which an organisation or project is directed and controlled. Management involves putting those decisions into practice. ensure that you have good information, systems, and controls.